Former All Pakistan Muslim League (APML) spokesman Fawad Chaudhry has joined PPP. According to sources, Fawad Chaudhry met PPP’s women wing chairperson Faryal Talpur at the presidency on Friday, during which, he announced his full support and belief over the leadership of President Zardari and Prime Minister Yousaf Raza Gilani. 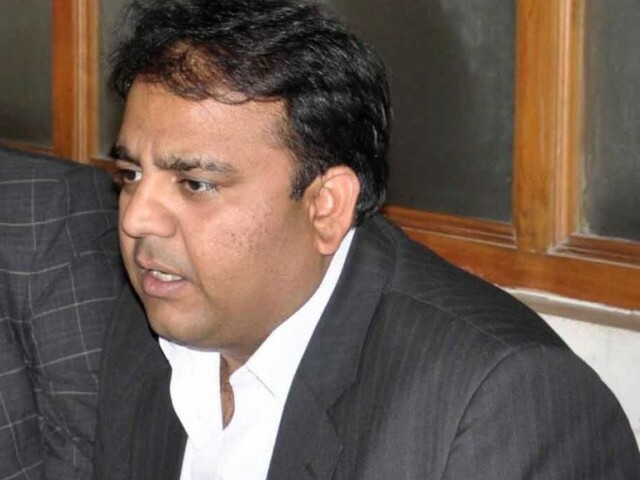 Chaudhry Fawad who has recently quitted APML over policy differences, expressed his strong belief that PPP was making all-out efforts to combat the challenges facing the country. He also expressed his belief that cutting oneself from PPP was akin to disassociating oneself from democracy itself. Important PPP leaders Pervez Ashraf, Nazar Mahmood Gondal and others were also present on the occasion. hahahhaha…ye b establishment ne krwaya ho ga MIAN SAAB!! Nawaz Sharif had declared him an "an asset" for his party had he joined PML(N). aik corrupt logon k jhurmat say nikal kar aik aur corrupt logon k jhurmat mein ja ghussa Fawad Chaudhary!